A woman carrying her child rests for a while on their way to fetch water at a creek in Twantay township, outskirts of Yangon, Myanmar (AP Photo/Khin Maung Win). Meteorologists are predicting that El Niño could gather momentum in the coming months, intensifying from “moderate” to “strong” and increasing its influence on weather patterns in Myanmar and elsewhere. 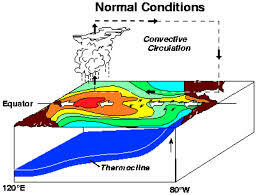 El Niño is characterised by a warming of the surface waters of the Pacific Ocean that occurs once every four to seven years and affects weather across the globe. Australia’s Bureau of Meteorology released a statement on June 23 noting that El Niño was consolidating and continuing to strengthen. According to the statement, “central and eastern tropical Pacific Ocean sea surface temperature indices are more than 1C above average for the sixth consecutive week, and international climate models surveyed by the Bureau of Meteorology indicate further consolidation is likely”. However, it added that “El Niño events typically strengthen during the second half of the year and it is not possible at this stage to determine how strong this El Niño will be”. The World Meteorological Organisation (WMO) said on June 15 that the tropical Pacific atmosphere and ocean are currently at moderate El Niño levels. “The majority of international El Niño Southern Oscillation (ENSO) climate models suggest that tropical Pacific temperatures are likely to continue warming, and possibly reach strong El Niño levels, in the coming months,” it said. 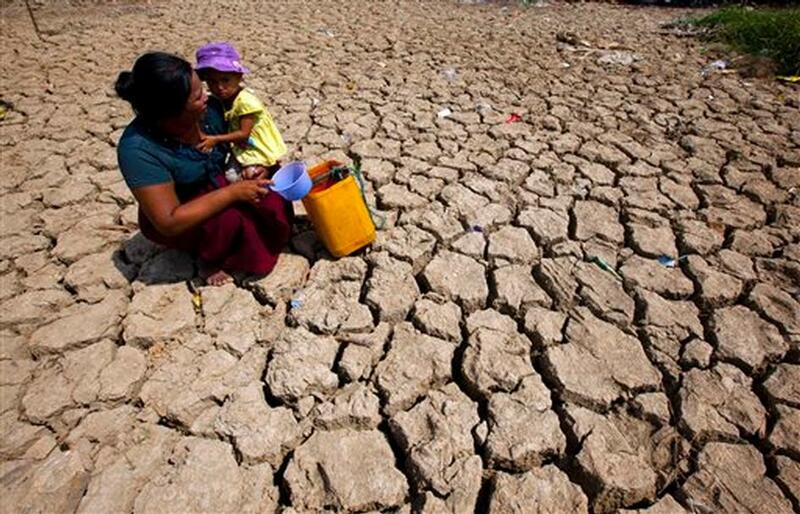 U Kyaw Lwin Oo, director of the Department of Meteorology and Hydrology, said in mid-May that a strengthening of El Niño in the coming months would mean that Myanmar would see drier-than-normal conditions during the post-monsoon, 2015-1016 winter and 2016 summer seasons. On June 11, the weekly ENSO update of the Climate Prediction Center of the US National Oceanic and Atmospheric Administration (NOAA) said that there was a greater than 90 percent chance that El Niño will continue in the northern hemisphere through the autumn 2015, and around an 85pc chance it will last through the 2015-2016 winter season.